When it comes to trucks, the 2017 Chevy Silverado 1500 is a great choice. It may not be the highest ranking but it’s always at the top. 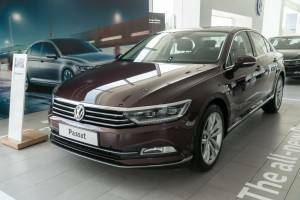 With upgraded features and technology, it definitely holds its own against the competition. Your final decision will depend on what you want from your truck. The Silverado is Highest Ranked in Initial Quality among all light duty trucks. It has won the JD Power award for two years in a row. Consumer Guide Automotive has named it the Best Buy in the Large Pickup class. It is ranked third by U.S. News and World Report. Ford F150 and Ram 1500 are tied for first. Likewise, Edmunds shopping guide gives the Silverado a B while giving A’s to Ford and Ram. The Silverado 1500 has one definite advantage that you can see. The CornerSteps, a GM exclusive, are a favorite with anyone who regularly climbs in and out of a bed. With a convenient handhold, this feature can make life easier when you have a big item to unload. There are also plenty of other advantages you can’t see. Chevys, as part of the GM family, offer WiFi hotspots on every model, beating all rivals hands-down. The safety ratings are better than Ram, and Chevy offers crash avoidance features that Ram, Nissan, and Toyota don’t. The quiet cabin beats the Ford, Toyota, and Nissan cabins. Although the Toyota Tundra claims durability, the Silverado has won awards from JD Power that suggest it is on par with the best of the best. 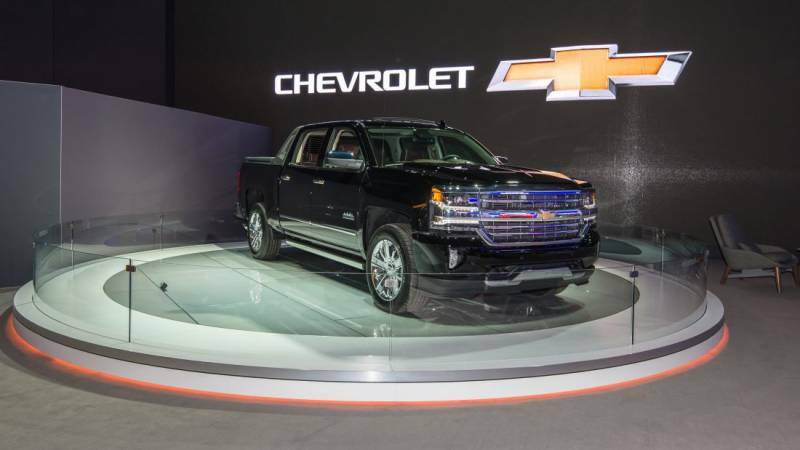 This year, Silverado moved to eight-speed automatic transmissions, challenging one of Ram’s claims to class leadership. 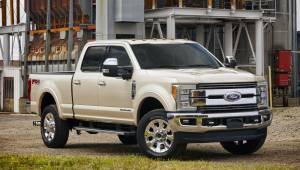 However, Ford leaped over Chevy with a ten-speed automatic. As good as Chevy’s ride quality is, Ram has everyone beat with its exclusive five-link coil spring suspension. Ram interiors are known for premium materials even on their basic models. Since the Ram and Chevy are tied on noise reduction, Ram certainly wins when it comes to the cabin. Chevy offers good fuel economy, but you will find some better choices at Ford or Ram. The Nissan Titan XD, when equipped with its diesel engine, can do more than any other light duty truck, even the top F150s and Silverados. Frankly, it’s a mixed bag so you’ll have to look at individual factors. The Silverado comes in a couple of different cab and box options. You can get a regular cab with a box measuring six feet, six inches or eight-feet. The double cab comes with a six-foot box. The crew cab offers a six-foot box or one measuring five feet, eight inches. The Silverado’s smallest bed is slightly longer than Ford’s smallest. Otherwise, the cab and box measurements are in line with the competition. The whole point of a truck is how much work it can do. So, here’s a quick rundown of the important statistics for the Silverado 1500. With an OnStar subscription, you can be sitting at a remote jobsite and connect with your supplier to place a complicated order. The WiFi hotspot is available on every edition. Even on the base edition, you’ll find a 4.2-inch color display audio screen. If you go up a model, your Silverado will come with the easy-to-use MyLink system – adding a touchscreen to your dash. MyLink apps include Pandora, the Weather Channel, and Aha. You can get a 7-inch audio screen or an eight-inch navigation screen. Chevy also has Apple CarPlay and Android Auto. You won’t find that on Ram, Nissan or Toyota rivals. Catching up to Toyota, the 2017 Silverado offers a wireless charger. For families, there’s a rear seat entertainment center available for the biggest cabs. Music lovers may want the Bose system with active noise cancellation. The Chevy Silverado earned five stars a few years ago. It took Ford and Toyota until last year to catch up. Ram still lags behind with four stars. Silverado can definitely claim some safety systems that the others can’t. DuraLife rotors are on board to reduce shudder, a common enemy of smooth driving. Autograde braking, another exclusive standard, regulates downhill travel. This promotes safety, stability and traction as well as doing a solid job of protecting your brakes and gears. Truck manufacturers are using crash avoidance features to attract more customers into the higher trim editions. As such, the Chevy Silverado is definitely a leader. It offers the GM safety seat to complement the lane watch and the forward collision warning. Leading the class, it offers low-speed automatic braking mitigation. The available IntelliBeams are self-regulating high beams. Toyota, Ram and Nissan don’t offer any of these features while Ford offers some of them. On the other hand, the Tundra does offer a blind spot monitor which the Silverado doesn’t. When it comes to pricing, it can be difficult to sort out what’s the best buy. After all, you need to factor in the configuration, engine and trim level. Still, it helps to know the basics. Fuel economy for the Silverado is 18 mpg city and 24 mpg highway at its best. The Nissan Titan manages only 16/21 mpg. The Tundra is even worse with 13/18 mpg. Certain Rams and Fords can do better with 25 mpg highway ratings. While it’s hard to say if the Silverado is right for you, it’s certain that it wouldn’t be a bad choice. You’ll get capability, quality, and features with a lower price tag.